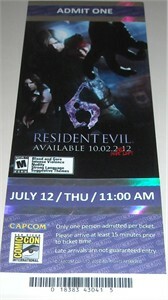 Original Resident Evil 6 demo ticket distributed by Capcom at 2012 Comic-Con in very limited quantities. 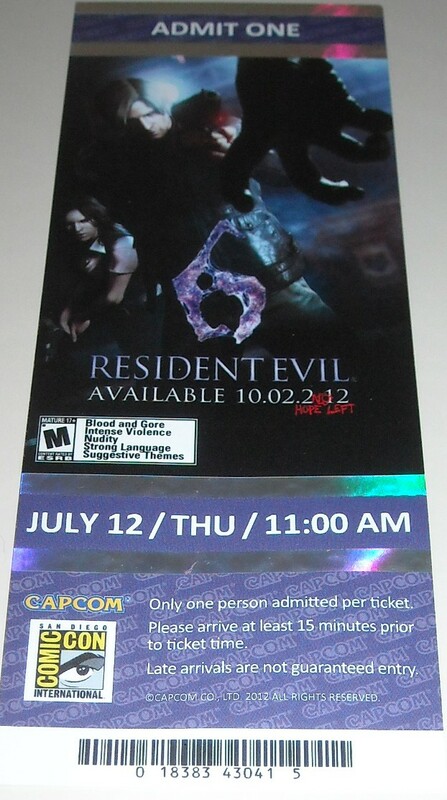 Has minor wrinkling. ONLY ONE AVAILABLE FOR SALE.